It is common for you to see the number of the person calling on your phone handsets before you answer. This convenient feature is called “Caller ID” and also known as, “Calling Line Identity” (CLI), and allows you to screen your incoming calls and only answer the ones that you want to. For callers not wanting their numbers revealed, it is possible to withhold their numbers so that ‘number not available’ or ‘withheld number’ is displayed, this can be done by changing the settings on their phone or on a call by call basis by dialling a prefix before making a call. 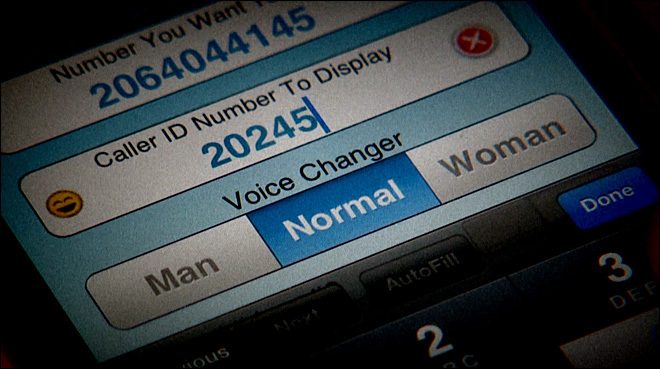 What is becoming more common is for callers to manipulate the displayed number so that the actual number they are calling from is disguised. This practice is known as ‘spoofing’. There are times when modifying the Caller ID is done for a genuine reason such as when a business wants their main number (rather than an individual’s number) to be visible to you in case the need arises to call them back. When the caller is spoofing, the Caller ID information such as the name or number relayed to your device has been intentionally altered. A significant amount of nuisance calls are originating from other countries around the world and spoofing calls are an ever growing proportion of them. To try to find a solution to the problem, the UK telecom regulator, Ofcom is working with the telecom industry and international regulators. Often the technology used in making spoofing calls is VoIP (Voice over IP), which allows callers to make calls via the internet. Tackling this issue has become a concern to Internet standards that The Internet Engineering Task Force (IETF) now has a special group just to deal with this specific problem. The practice of spoofing is being used more and more frequently for purpose of deception or fraud. The caller who is spoofing is doing this to either mimic a real company or a person or so that they can keep their own identity hidden. This may be because they want to obtain personal information such as bank logins, or credit card details by deception and they will pretend that they are making the call from your credit card company or your bank. By posing as a representative of credit card companies, banks or other companies, identity thieves and fraudsters will try to obtain sensitive information such as credit card numbers and bank account numbers or login details from you. You should never give out personal information when receiving an incoming call and never rely on the Caller ID as a way to identify a caller. This is recommended even more so in cases where the caller specifically asks for you to carry out actions that may have financial consequences. If you do receive a call where the caller is asking for any kind of personal or confidential information, hang up the phone and wait five minutes to ensure the phone lines have been cleared of any connections to the fraudster. Pick up the phone and make sure you hear dial tone, if there is no dial tone it is likely that the caller has left the line open. If this happens hang up and wait for longer or use another phone such as a mobile to call your bank or credit card company to check if it a genuine or fraudulent telephone call. Use the telephone number on the back of your credit card or you may be able to find these numbers on your statements, or in the telephone directory, and also on the websites of the company concerned. If you think you may have disclosed personal information such as passwords or credit card details, contact your credit card company and they can put a block on the card, you should do this without delay. In the case of passwords, change them immediately. Report it to the police by calling 101 or if the crime is in progress call 999. Make sure to mention that you think you have been a victim of Caller ID spoofing. UK’s national centre for internet and fraud crimes is called Action Fraud. If you or anyone you know has been targeted by a scam then you should call Action Fraud using the number 0300 123 2040. You can also visit the website at www.actionfraud.police.uk. If you think someone may be using deception to try to obtain personal information you can also phone the Citizens Advice Consumer Service on 0845 404 0506 and they can pass details of the case on to Trading Standards. The Trading Standards service is responsible providing protection to consumers and the community against rogue traders and traders acting unfairly. Tell friends, family and neighbours, social media is a good way to warn people of any potential scams, the more people that know about it, the less chance that they will fall victim.